Holy See–Soviet Union relations were marked by a long-standing persecution of the Catholic Church by the Soviet Union and the Warsaw Pact, critisized throughout the Cold War. After a long period of resistance to atheistic propaganda beginning with Benedict XV and reaching a peak under Pius XII, intensified after 1945, the Holy See attempted to enter in a pragmatic dialogue with Soviet leaders during the papacies of John XXIII and Paul VI. In the 1990s, Pope John Paul II's diplomatic policies were cited as one of the principal factors that led to the dissolution of the Soviet Union. The end of World War I brought about the revolutionary development, which Benedict XV had foreseen in his first encyclical. With the Russian Revolution, the Vatican was faced with a new, so far unknown, situation. An ideology and government which rejected not only the Catholic Church but religion as a whole. “Some hope developed among the United Orthodox in Ukraine and Armenia, but many of the representatives there disappeared or were jailed in the following years. Several Orthodox bishops from Omsk and Simbirsk wrote an open letter to Pope Benedict XV, as the Father of all Christianity, describing the murder of priests, the destruction of their churches and other persecutions in their areas. The "harsh persecution short of total annihilation of the clergy, monks, and nuns and other people associated with the Church," continued well into the 1930s. In addition to executing and exiling many clerics, monks and laymen, the confiscating of Church implements "for victims of famine" and the closing of churches were common. Yet according to an official report based on the Census of 1936, some 55 percent of Soviet citizens identified themselves openly as religious, while others possibly concealed their belief. Pius XI described the lack of reaction to the persecution of Christians in such countries as the Soviet Union, Mexico, Germany and Spain as a "conspiracy of silence". In, 1937 the Pope issued the encyclical Divini Redemptoris, which was a condemnation of Communism and the Soviet regime." He did name a French Jesuit to go to the USSR and consecrate in secret Roman Catholic bishops. It was a failure, as most of them ended up in gulags or were otherwise killed by the communist regime. The pontificate of Pius XII faced extraordinary problems. 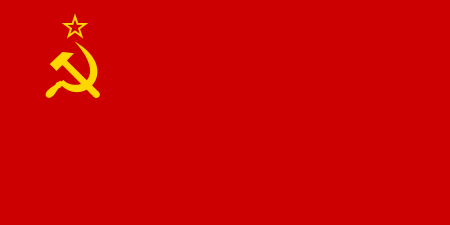 During the 1930s, the public protests and condemnations of his predecessors had not deterred the Soviet authorities to persecute all Christian Churches within the Soviet Union as hostile to Marxism–Leninism. The persecution of the Catholic Church was a part of an overall attempt to eradicate religion in the Soviet Union. In 1940, after Germany occupied the Western part of Poland, the Soviet Union annexed the Eastern part along with the Baltic Countries including predominantly Catholic Lithuania. Two months after his election on May 12, 1939, in Singolari Animi, a papal letter to the Sacred Congregation of the Oriental Church, Pius XII reported again the persecutions of the Catholic faith in the Soviet Union. Three weeks later, while honouring the memory of Saint Vladimir on the 950th anniversary of his baptism, he welcomed Ruthenian priests and bishops and members of the Russian colony in Rome, and prayed for those who suffer in their country, awaiting with their tears the hour of the coming of the Lord. 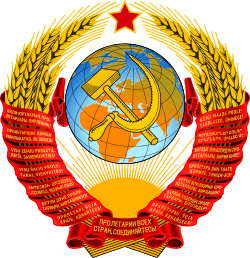 Persecution began at once, as large parts of Poland and the Baltic States were incorporated into the USSR. Almost immediately, the United Catholic Churches of Armenia, Ukraine and Ruthenia were attacked. While most Oriental Christians belong to an Orthodox Church, some like the Armenian Catholic Church, Ukrainian Greek Catholic Church and the Ruthenian Catholic Church, are united with Rome which allowed them to keep their own Oriental liturgy and Church laws. After the war, the Russian Orthodox Church was given some freedom by the government of Joseph Stalin, but not the Orthodox Oriental Churches which was united with Rome. Leaders of the Orthodox Oriental Churches faced intense pressure to break with Rome and unite with Moscow. Pope Pius addressed specifically the Ruthenian Catholic Church located in Ukraine. The encyclical Orientales omnes Ecclesias is a summary of the relations between the Uniated (Eastern) churches and Rome until the persecutions in 1945. Some Ruthenians, resisting Polonisation, felt deserted by the Vatican and returned to the Russian Orthodox Church during the Pontificate of Pope Pius XI. After the War, Soviet forces stationed in Poland and the Communist Party in increasing control of the Polish government, the Pope and the Polish episcopate anticipated persecution and communication problems with the Polish bishops, He therefore granted Facultas Specialis, special powers to August Cardinal Hlond in his dealings with the Church and state authorities. Hlond’s pastoral priority were the "former German territories", now assigned to Poland, and called Recovered Territories by the state, and Western Lands by the Church. On August 15, 1945, one week after the Potsdam Conference he created facts by establishing Polish administrators in these areas. The new government, almost as expected, began its campaign against the Church by withdrawing from the concordat and expelling the Papal Nuncio and refusing to accept the appointments by Cardinal Hlond. The Vatican was accused of refusing to accept the authority of the new communist government and for breaking the concordat in the war years by appointing temporary German administrators in Polish territory. The Decree against Communism is a 1949 Papal decree which excommunicates all Catholics collaborating in communist organizations. The Vatican, having been silent during the war on communist excesses, displayed a harder line on communism after 1945. The ruling followed suit to an earlier 1937 encyclical entitled Divini Redemptoris which was strongly critical of communism and its Christian variants. 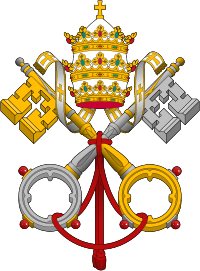 Acerrimo Moerore (January 2, 1949) is an Apostolic Letter of Pope Pius XII to the Hungarian Episcopate after the jailing and torturing of József Cardinal Mindszenty. Decenium Dum Expletur is an Apostolic Letter of Pope Pius XII to the bishops of Poland about the suffering of the Polish People. Sacro Vergente is a 1952 Apostolic Letter of Pope Pius XII to all people of Russia in which he consecrates all the people of Russia to the Immaculate Heart of Mary. Dum Maerenti Animo is a June 1956 Apostolic Letter of Pope Pius XII to the faithful in Eastern Europe regarding their persecutions and the persecutions of the Church. Veritatem Facientes (March 27, 1952) is an apostolic letter of Pope Pius XII to the Catholic faithful of Romania, protesting against their persecution and the virtual eradication of the Catholic Church in their country. Luctuosissimi eventus, issued October 28, 1956, is an encyclical of Pope Pius XII urging public prayers for peace and freedom for the people of Hungary. Laetamur admodum, issued November 1, 1956, concerns renewing his request for prayers for peace for Poland, Hungary, and the Middle East. Datis nuperrime is a Papal encyclical of Pope Pius XII concerning the Soviet invasion of Hungary to suppress the Hungarian revolution of 1956. During the brief papacy of John XXIII, there were attempts to reconcile with the Russian Orthodox Church in the hope of reducing tensions with the Soviet Union and contributing to peace in the world. The Second Vatican Council did not condemn Communism and did not even mention it, in what some have called a secret agreement between the Holy See and the Soviet Union. In Pacem in terris, John XXIII also sought to prevent nuclear war and tried to improve relations between the Soviet Union and the United States. He began a policy of dialogue with Soviet leaders in order to seek conditions in which Eastern Catholics could find relief from persecution. Pope Paul VI continued John XXIII's policy of dialogue with Soviet leaders in order to reduce persecutions against local Christians. His policy has been called Ostpolitik because it closely resembled similar policies that were being adopted by Western European nations. He received Foreign Minister Andrei Gromyko and Chairman of the Presidium of the Supreme Soviet Nikolai Podgorny in 1966 and 1967 in the Vatican. The situation of the Church in Poland, Hungary and Romania improved somewhat during his pontificate. John Paul II has long been credited with being instrumental in bringing down communism in Catholic Eastern Europe by being the spiritual inspiration behind its downfall and a catalyst for a peaceful revolution in Poland. In February 2004, the Pope was even nominated for a Nobel Peace Prize honoring his life's work in opposing communism and helping to reshape the world after the fall of the Soviet Union. However, there has been much debate among historians about the realistic significance of John Paul II’s opposition to communism in the Soviet regime’s eventual downfall. While most scholars agree that Pope John Paul II’s intervention was an influential in ending the Polish Communist Party’s rule, there remains much disagreement in his role in the collapse of the USSR. Historians differ on their opinions on the significance of John Paul II’s influence as opposed to that of other economic and political factors. Thus, it is necessary to investigate the relative importance of John Paul II’s role in the collapse of Eastern European communism by analyzing the historical events beginning with his election to the papacy in 1978 and ending with the collapse of the Soviet Union in 1991. On October 16, 1978, Karol Wojtyla was elected to the papacy. As the first-ever Polish pope and the first non-Italian to be elected to the papacy in over four hundred years, his election came as somewhat of a surprise to many Catholic scholars worldwide. Wojtyla chose to take the name John Paul II, after his predecessor, John Paul I, who was pope for barely a month before his death on September 29, 1978. Religious and political leaders alike wondered what it would mean for a citizen of a communist country to become pope. Poles, on the other hand, rejoiced at the news. Having lived under both the Nazi and the Soviet regimes, the new pope was unwavering in his opposition to both fascism and communism. While the Vatican had always officially opposed communism due to its atheism, Pope John Paul II lost no time in making this theological opposition into an active policy of confrontation. In his first encyclical, he pinpointed religious freedom as the paramount human right and argued that it was the duty of the Church to protect this right. Simultaneously, he rejected the general Cold War diplomacy of appeasement by removing or demoting church leaders who had enacted the policy of Ostpolitik, or quiet negotiation with communist leaders. Instead, Pope John Paul II spoke out publicly against communism. Despite warnings from Leonid Brezhnev, General Secretary of the Central Committee of the Communist Party of the Soviet Union, not to interfere in Poland, the new pope visited his homeland within the first year of his papacy. On June 2, 1979, John Paul II made his first papal visit to Poland. Three million people came to the capital to greet him. The pope held Mass publicly in the Victory Square in Kraków, which was usually reserved for state-sponsored events. In the Lenin Shipyard, John Paul II held Mass in memory of the Polish workers who had been killed in a 1970 strike, carrying a large wooden cross which some took to symbolize the burden of communism on the Polish people. Historian John Lewis Gaddis identified the 1979 papal visit as the “trigger that led to communism’s collapse worldwide” due to its profound effect on the morale of the Polish people. The Solidarity trade union emerged in Poland in the year 1980 under the leadership of Lech Wałęsa. The emergence of this Catholic, anti-communist movement has been causally linked, by many historians, to Pope John Paul II’s first papal visit to Poland in 1979. Indeed, John Paul II publicly defended the strikers and ordered the Polish Church to aid them in a message to Stefan Wyszyński, archbishop of Warsaw and Gniezno. Whereas most previous Polish revolutionary movements had been secular in nature, Solidarity centered on the religious symbols of the cross, the rosary, and the Madonna. In January 1981, Walesa visited Rome and met with the pope for the first time, receiving his official recognition and support. On May 13, 1981 in St. Peter’s Square, Pope John Paul II was shot twice in the abdomen by would-be-assassin Mehmet Ali Agca. While many scholars have claimed that the assassination attempt was part of a conspiracy by the Soviet Union, this theory has never been proven. If true, the assassination attempt would reveal Soviet fears of the Pope’s influence in the Eastern Bloc and his assistance in the Polish Solidarity movement. Fortunately for the Poles and for the Church, the pope survived. Initially, the Polish communists resisted the Solidarity rebels, imprisoning many of the movement’s leaders between 1981 and 1983, but over the course of the 1980s, the movement gained more power and thus, more legitimacy. Consequently, in 1989, roundtable talks were held between the leaders of Solidarity, the Soviet Communists, and the Catholic Church. In 1990, Walesa was elected president of Poland and began large-scale market reforms. By 1992, Soviet troops had begun to leave Poland. This trend was paralleled by demonstrations and revolts in several other satellite states. There has been much speculation by historians about the relationship between Pope John Paul II and American President Ronald Reagan. The two leaders kept up a regular letter correspondence and met in Rome in both June 1982 and June 1987. This interaction has caused many historians to believe that the cooperation between the leaders strengthened the anti-communist cause. However, other historians, like George Weigel, have argued that both men were able to make their own individual political achievements. According to this view, the United States, under the leadership of President Reagan presented an economic challenge to the Soviet Union, which was entirely independent of Vatican influence. Therefore, Reagan’s role in the collapse of the Soviet economy may have been more influential than that of Pope John Paul II. On December 1, 1989, the pope met with Soviet leader Mikhail Gorbachev. It was the first time that a Catholic pope had met with a Soviet leader. The two leaders agreed to establish diplomatic relations between the Vatican and the Soviet Union. Gorbachev also pledged to allow greater religious freedom within the Soviet Union. Many saw the meeting as a symbolic end to the philosophical conflict between the Soviet Union and the Vatican. It certainly showed a growing willingness on both sides to cooperate. Even though the pope was primarily a religious leader, his leadership also had significant political consequences. John Paul II clearly used his Polish identity and connections to bring about the collapse of the nation’s communist regime. While the intervention of Pope John Paul II was undoubtedly an essential factor in the ending of communism in Poland, it is less clear how significant the pope’s leadership was in the rest of Eastern Europe and within the Soviet Union itself. The efforts of anti-communist leaders, such as Pope John Paul II and President Ronald Reagan did not make the fall of the Soviet Union inevitable. However, these leaders did hasten the end of the Cold War and the fall of Soviet communism, particularly in Eastern Europe. ↑ Constantine Pleshakov, There Is No Freedom Without Bread! 1989 and the Civil War That Brought Down Communism, (New York: Farrar, Straus and Giroux, 2009), 82–85. ↑ Arragon Perrone, "Pope John Paul II’s Role in the Collapse of Poland’s Communist Regime: Examining a Religious Leader’s Impact on International Relations," University of Connecticut (2012), http://digitalcommons.uconn.edu/cgi/viewcontent.cgi?article=1244&context=srhonors_theses (accessed May 10, 2014), 34–36. ↑ BBC News, "Poland Timeline." Last modified January 18, 2012. Accessed May 10, 2014. http://news.bbc.co.uk/2/hi/europe/country_profiles/1054724.stm. ↑ Haberman, Clyde. "THE KREMLIN AND THE VATICAN; GORBACHEV VISITS POPE AT VATICAN; TIES ARE FORGED." New York Times, December 2, 1989.